B Beats. Focus 10 + 1 hours of isochronic tones ? 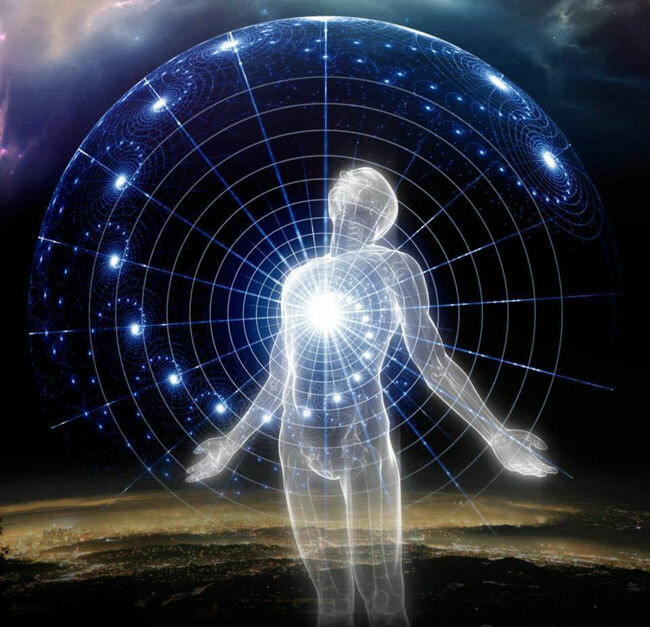 The Astral Pulse > Astral Projection & Out of Body Experiences > Welcome to Astral Consciousness! > B Beats. Focus 10 + 1 hours of isochronic tones ? I've read a web with a Frank K explanation about phasing, etc. And he talked about an audio. This audio is the focus 10 + 1 hour of isochronic tones. This is for entering to f12 and try to move to focus 21. Do you know what im talking about? I couldn't download this. Re: B Beats. Focus 10 + 1 hours of isochronic tones ? Who is this... Frank... you speak of? I'm talking about the edited version. I hope there isn't problem about posting external links. I don't like the F12 Monroe's audio. Is like going from f10 to f12 in ... 2 minutes. I'd like to try with this audio. I dislike iso tones. What better way to relax than to the sound of a commuter train passing? Or maybe that was just the ones I listened to.. It is supposed that iso tones, binaural beats are good to produce effects on the patterns of neural impulses. That's the reason they're used to practice focus and these kind of exercises. Floriferous, do a Google search for "DJ Vishnu Meditation Series". These are free Iso tones that will make you love Iso tones again. I don't like mono tone beats myself. I prefer Iso tones and Binaural Beats that have musical accompaniment. For my Bin Beats I prefer anything by Paul Collier, Kelly Howe, and just about any Shamanic Drumming pieces I can find. Jurgen Ziewe has a great one on his website as well. There are tons of great ones easily found on youtube too. Dj Vishnu's site has you register your email. I normally don't like registering my email. But I found that I didn't receive any junk email or viruses from his downloads. So, they are safe. Jeffrey Thompson have very good BBeats. In Theta, Gamma, Hypergamma, Etc. But, in this ocassion i wanna talk about helps to go from F10 to F12. I don't like the F12 Monroe Audio. The transition from f10 to f12 is in 2 minutes . I think that audio may be good for my purpose. I don't know if it's good, but the creator of that thread created that audio. Thanks Lazuma for the info. I will try some of the links you suggest. I think I tried ISO tones in their early incarnation when they weren't particularly refined and so sounded more like horror film ambience. Jeronimmo, I can offer you some info on hemi-sync binaural beats as that is what I teach. Binaural beats work by offering your brain two frequencies in either ear (each slightly different) and your brain works to create a third tone which is the difference between the two. This third tone is the binaural beat or sometimes known as the frequency following response. They entrain the brain by synchronising the two hemispheres creating whole brain cognition. This in itself can improve learning and concentration. But secondly it targets specific brainwave frequencies for things like meditation, sleep, concentration etc. Beta down to delta. Unfortunately binaural beats don't reach gamma frequencies because your brain can't create frequency over 30hz from two tones. If a binaural beat claims it can reach the heady heights of gamma or epsilon then they're lying. I think iso tones can. I definitely know SAM tones (spatial angle modulation) tones can reach gamma because that utilises an arc of sound around the skull. Your brain isn't made to work to create an extra tone. Not long ago I did a SAM program at TMI which was very good. They are very powerful signals and non intrusive. I would be wary of binaural beats that rely on a single frequency as well because they are not hugely effective. What I have noticed is a lot of people have hooked onto the magic 3.8hz as the key frequency for an OBE and just pipe you with that single frequency. This is inefficient because 3.8hz is bordering on the sleep state so invariably you just fall asleep. Hemi-sync uses a blend of frequencies. So maybe mainly theta as a baseline to take you down but with some beta in there to keep you alert enough to not drift off and also some delta. TMI discovered this approach was much better way back in the 70s. In regard to your focus 12 questions - Maybe you are jumping ahead if you are feeling it goes too quickly. Perhaps spend more time feeling your way around focus 10. Personally I wouldn't use the links on that site. It's copyright infringement for one. Secondly, I wouldn't trust the quality as it splices the original. Just buy wave 1 of gateway if you can afford it. Sory if i posted a link with copyright infringement. I have the wave 1, and the wave 2 and 3. I know how BB works. Thank you for the information, it is very useful. I think J Thompson have audios with Gamma, Epsilon, etc. I don't know with what he did them, maybe you know. I'll search about SAM tones, but i think that is a bit advanced for me, if i can't reach easiliy f12, f21, and OBEs. I didn't know about that frequency. Indeed, i trust more the Monroe's audios, and the JT audios. What do you recommend? I think Theta audios may be useful. About the other part of your thread I have to go to work now! later, i'll continue my reply. Don't worry. That link has been kicking round forums for years. Yeah TMI can seem expensive but they don't make a whole lot from it in reality. No doubt about that, but, if you are from Argentina, the TMI is really expensive. In regard to your focus 12 questions - Maybe you are jumping ahead if you are feeling it goes too quickly. Perhaps spend more time feeling your way around focus 10. What did you mean with this ? That perhaps spend more time in the f10 feeling the sensations would be useful ? Yeah, i like the waves. I've never achieved the wave 1 track 5. And then, in the wave 2 you have to go from focus 10 to focus 12 in... 2 minutes ? If i can't do it in my bed in 20 minutes i won't do it in that tape!! i tried a lot of times. I don't know why is easy to me to achieve focus 10 but i can't reach f12.. I think it may be that in the day i'm tired and when i try to do the exercises i can't stop my inner dialog. When i try to do the focus i can't stop talking to myself, and, because of that, i can't phase into the non physical. Perhaps, besides doing the focus exercises i should practice meditation, maybe that should be useful to train my concentration to do the focus. Let's start with how you're defining F10 and F12 for yourself. You say you can easily hit Focus 10. So let's just move onto Focus 12 for now... what are you expecting the difference between Focus 10 and 12 is? You give me what you think the difference for yourself will be... and I'll tell you after how *I* perceive the difference, because in the end, everyone can perceive it differently. Well, when i use the f10 tapes, or when i try to meditate listening binaural beats, or simply when i lying in bed sometimes i feel the f10 sensation. I read and they're the usual sensations. I feel that i'm floating in the darkness. Sometimes i don't feel the body at all, sometimes i feel it. Sometimes i can't reach this state. Focus 12.. i can't reach it i can't say how is it . But i think is the next state to phase and do an OBE. "i feel the f10 sensation"
"i'm floating in the darkness"
As much as we humans enjoy trying to describe experiences personal to us, we have a distinct disadvantage because our physical reality language simply can't describe a non-physical experience... ESPECIALLY when it falls far outside the realm of what we consider to be "physical reality". If you're truly experiencing the sensation of "floating in the darkness"... I'd say you've either experienced Focus 12, or are on the very cusp/edge of it. I meditate for 20 minutes every morning and 9 times out of 10 I'll slip into what *I* would call Focus 12 after about 10 minutes of sitting there. Focus 10 to me is simply a point of complete relaxation. I'm staring out into the darkness in front of me... and that's it. I'm relaxed, calm, centered and staring into the blackness. Focus 12, for me, hits the moment that blackness starts changing. Generally how *I* experience it is a shifting in patterns of the blackness with what seems like white fog moving around the blackness. It brings it (as generic as this sounds) a sense of depth... but along with it comes an extreme deepening of the relaxation I was experiencing in Focus 10. It's a sense of going deeper within the blackness. That is how *I* experience the difference between Focus 10 and Focus 12. I'm not sure how much that'll help you... but I think you've already experienced Focus 12, you're just don't know you have because you have nothing to compare it against. We've kind of touched on that already. I do like your link. Go with Xanths train of thought. Everyone experiences focus levels in a unique way. Some feel very little difference between ten and twelve. Perhaps just trust you are in twelve and go with it. May be the fact that you are analysing whether you are 'there yet' is hindering the process. Too much left brain. You could look in Argentina to see if there any outreach TMI trainers that offer courses. I know there is definitely one in Brasil but probably in Argentina too. I'll try to practice this week. I don't know. I suppose f10 and f12 are different for everyone. I think i didn't reach F12 because i'm having problems to project, or do phasing, etc in the last months. The last year i was getting used to practice all days after 6 hours of sleep and i started to have progress. (with indirect methods, i couldn't enter to f21 or f12 from a awake state) But now, nothing. Also, i think i didn't reach focus 12 because altough i feel floating in the darkness i don't see any hipnagogic images, or color, etc (i've always read that they're the signal of focus 12). It's hard to observe what's going on without thinking, getting scared, having thoughts, etc.